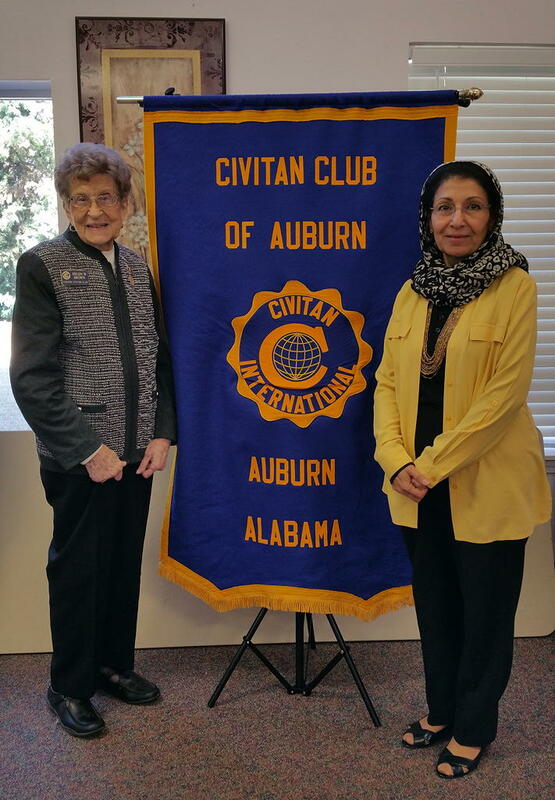 The speaker for the meeting of the Auburn Civitan Club at the Eagles’ Nest, Monarch Estates, on Friday, February 6, 2015, was Nighet Ahmed of the Auburn Islamic Center. She spoke on Islam at the annual observance of Civitan Clergy Day, a day to promote world brotherhood and religious understanding among all people. Nighet Ahmed, pictured on the right, teaches a course on Islam at the Osher Lifelong Learners Institute. Helen Brown, Civitan Chaplain, on the left, introduced Nighet. This entry was posted in Programs on February 27, 2015 by kviversen.